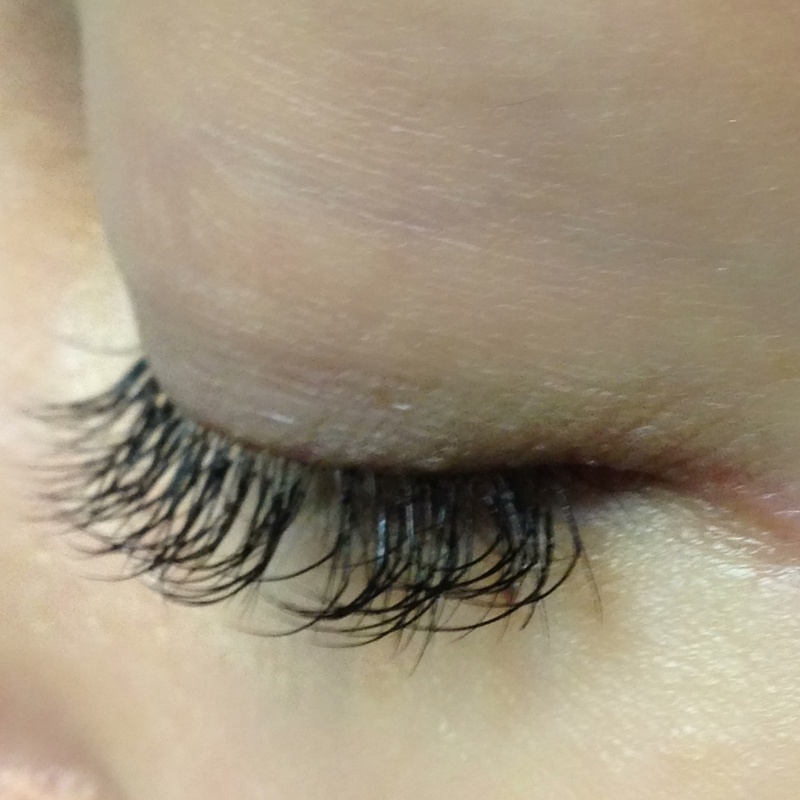 falsies vs. lash extensions… which should brides choose? 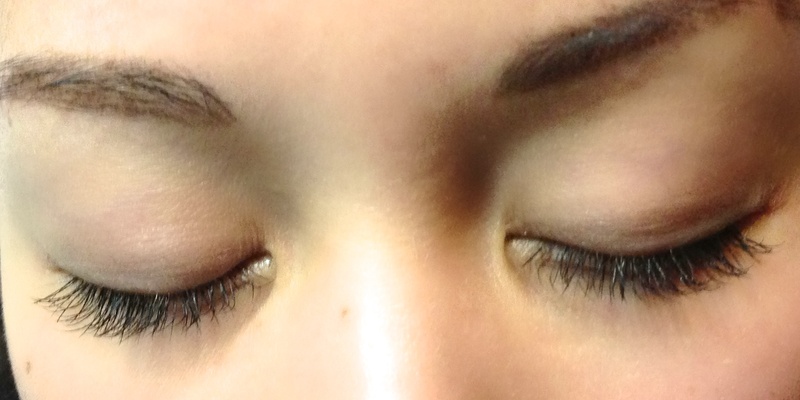 brides often ask me whether or not they should get lash extensions for their wedding day. in my opinion, falsies are a much better option for the wedding day and i would save the lash extensions for the honeymoon. for the camera: lash extensions are great for a natural, day-to-day, makeup-free use, but for weddings, you need full and more dramatic lashes in order for your eyes to show up nicely in your wedding photos. it’s important to remember that for your wedding day, you need a good balance between looking naturally beautifully in person, as well as stunning on camera. i have had brides who have gone to get the full set of mink lash extensions before their wedding day and later realize that they do not show up very well in their wedding photos. i do think that the extensions look great in person, but are lacking in photos. 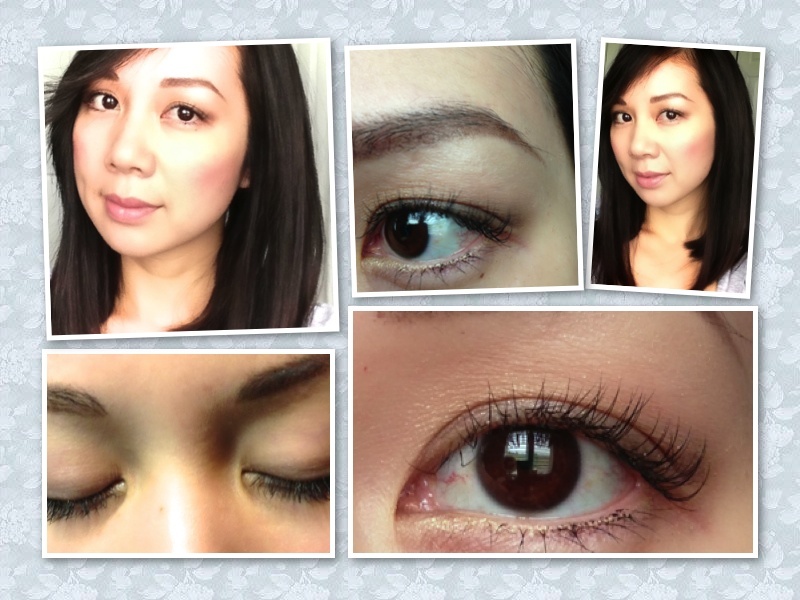 for makeup: when brides have lash extensions, it puts limitations on what i can do for their makeup. for eyes to really pop, lashes need to be tight lined; this means that eye liner needs to be applied in between the lashes to really outline the eyes. 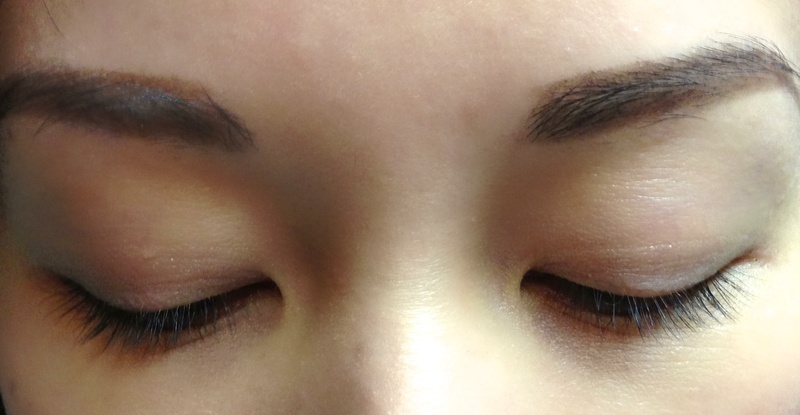 it is also much more difficult to apply liner to the lash line without ruining the lash extensions. you should keep in mind that in order to remove waterproof liner, you must use an oil based makeup remover which would also loosen the glue used to adhere the lash extensions to your real lashes. i myself had lash extensions done after my wedding just before heading off on my honeymoon to bora bora and hawaii. it was great because i didn’t need to pack any makeup with me since i had planned on being out in the sun and on the beach every day! they lasted just long enough (our honeymoon was 2.5 weeks). they are supposed to last 3-4 weeks, but it was hot weather and i was in the water so random lashes were falling off here and there. 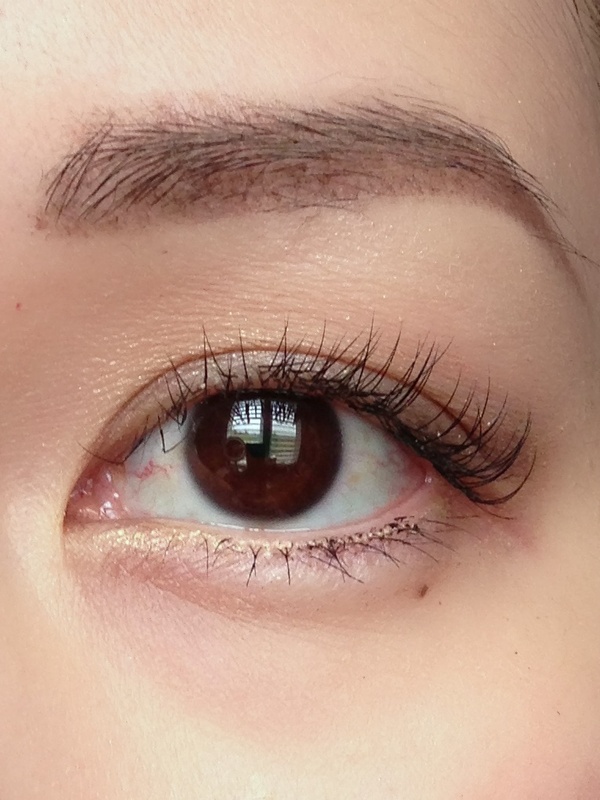 i couldn’t talk about lash extensions without showing some photos! 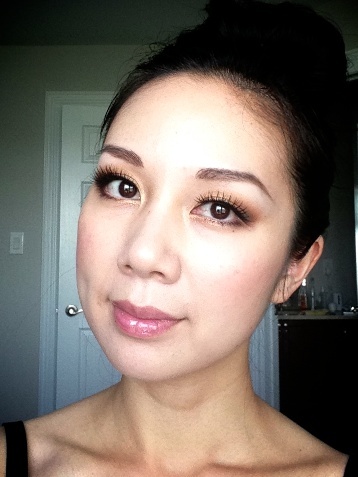 i went to my good friend stephanie trieu who is a lash extension technician in markham. she is based at mccowan and steeles but also does mobile services. during my session, i interviewed her at the same time to find out more about lash extensions and so that i could write about pros and cons that i’d find. these are synthetic mink lashes. 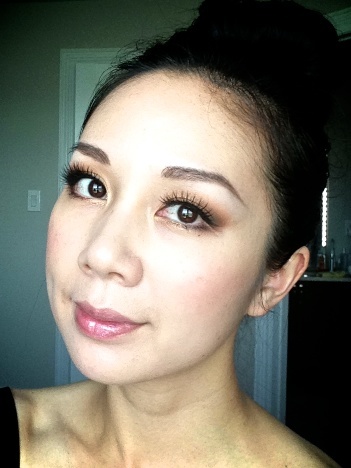 at first, stephanie had applied a full set to each eye (60 lashes) which gave a very natural look. i would recommend that to people who do not normally wear any makeup. but for myself, i’m used to putting several coats of mascara and tight lining my eyes, so i requested more lashes to give a fuller effect. that was my main concern and my question to stephanie. i’ve had bridesmaids tell me horror stories of all of their natural lashes falling off after repeated sessions of lash extensions. 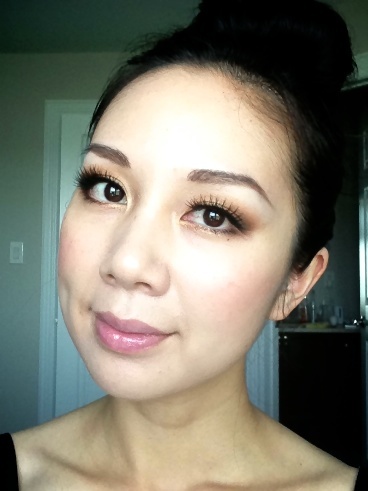 single lash vs. clusters: stephanie explained to me that applying single lash to each individual lash ensures that the extensions fall off with your natural lash cycle. however, if you apply cluster lashes (which are lashes that are kind of like a fork… more than one lash being attached to one real lash) the weight of them could make your real lashes fall off more quickly. 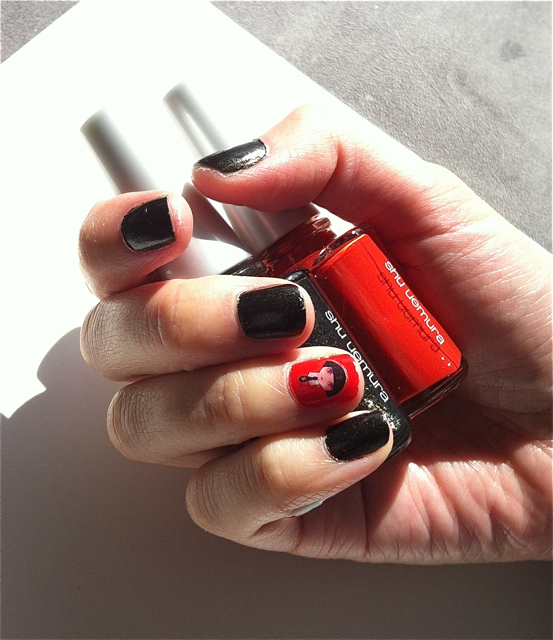 although it looks fantastic, ladies should keep in mind that it should not be done repeatedly. you need some time in between to give your lashes a “rest”. real mink lashes are much more expensive than the synthetic ones. stephanie explained to me that they are softer, however for that reason they have less of a curl to them. 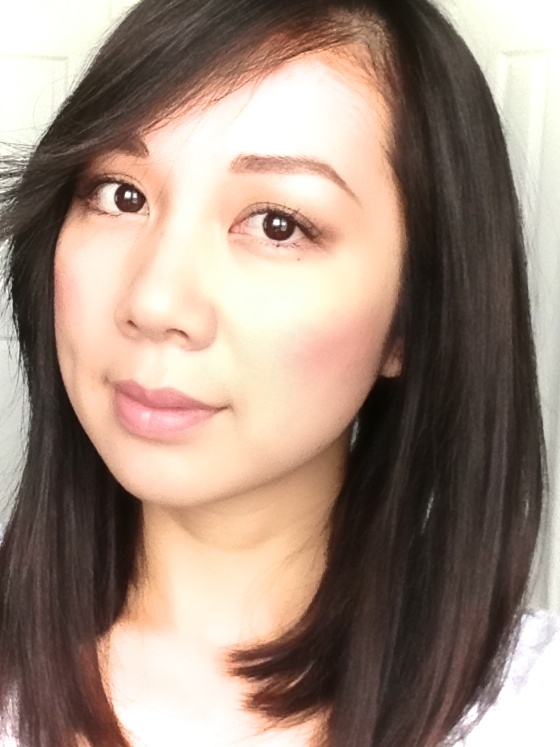 i personally like a nice curl because my asian lashes are so straight that i need the synthetic ones to lift them. i have seen friends with the real mink extensions and i do admit that they look great because they seem more dense and full, but i have not yet tried them myself. stephanie also explained to me that it depends on how many lashes you have naturally. you notice the gap in my lash line? it’s because naturally, i am missing some lashes there… it could be because i may have accidentally pulled some out when removing my falsies.. oops! 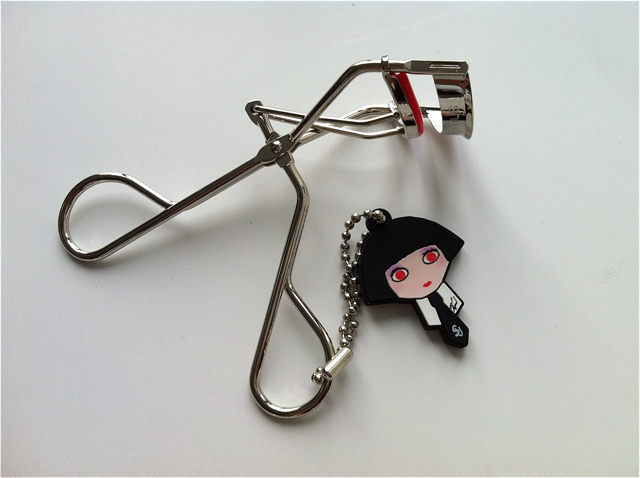 so if you’ve got lots of lashes for extensions to be attached to, then you’ll get a fuller set of las extensions. i do love how natural they look and how much time it saves me to get ready. i’ve recently been extremely busy and have no time to sit down and really apply makeup, so having the extensions are great! to sum it up.. pros and cons! lashes fall off at different times which could make your eyes look uneven. you would need to go back to refill them. i would like to try them in clusters to see how they look. at this point in my life, i would get them again because i’m so busy! final verdict, falsies or extensions? i love my falsies so i’d never give them up! to create looks with makeup, i find that extensions could never replace falsies. falsies enhance the eyes far more than extensions could and are essential for creating different types of eyes with makeup. however, for those who don’t like wearing makeup, extensions are the way to go. 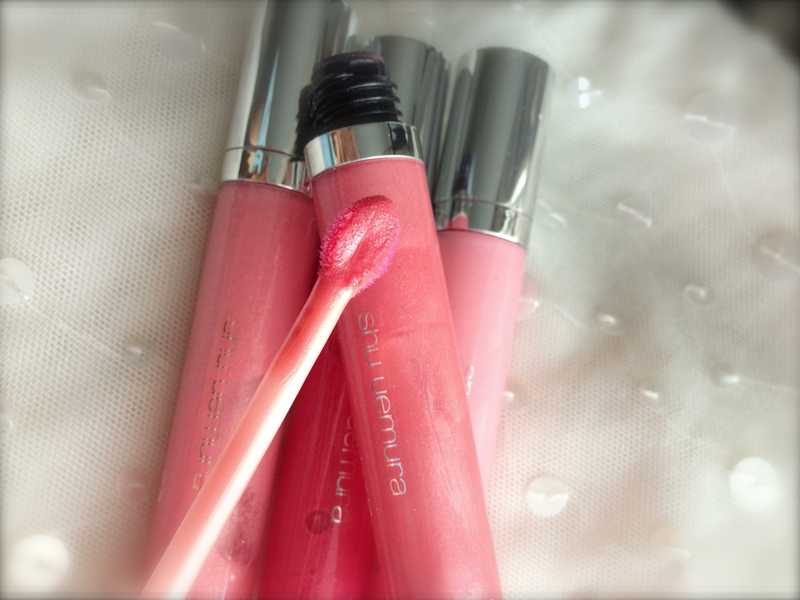 it’s so hard to find a good lip gloss that has great colour pay off and that is actually moisturizing. 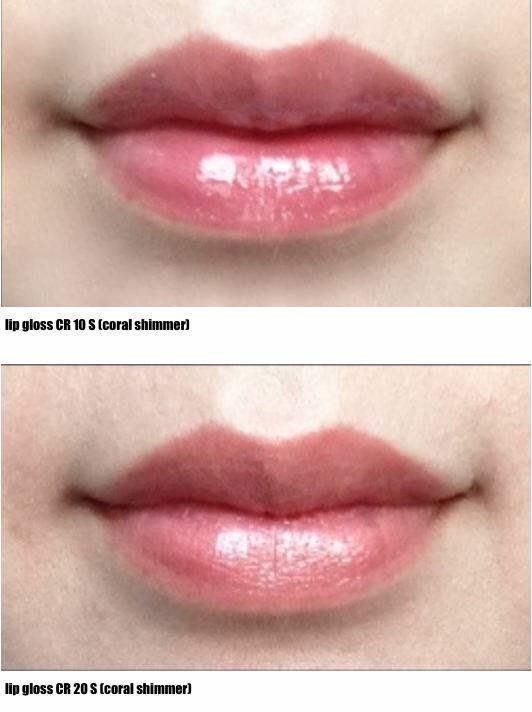 there are many out there that look nice and glossy when first applied, but leaves lips feeling so sticky and starts to look a bit pasty on the lips shortly after the initial application. 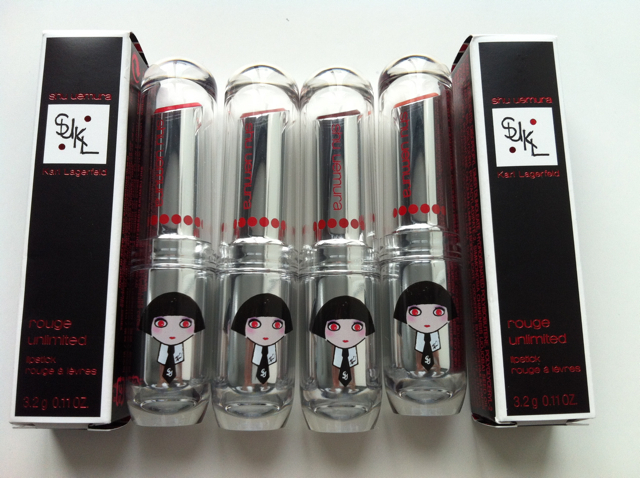 when shu uemura came out with the new line of glosses, i thought that just the colours would be new, but to my delight, the formula is much improved as well! 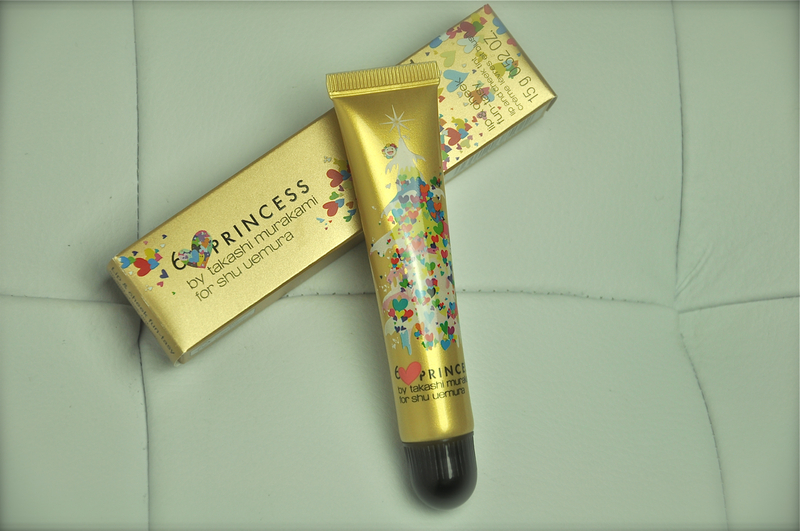 when applied, i can feel an ever so slight moisturizing tingle and it actually helped to smooth away the dry little flakes on my lips which usually looks so terrible when i apply a coloured gloss or lipstick over top. my lips tend to be on the dry side, which is why i tend not to wear lipsticks, but i’ve seriously been obsessed with these new glosses. my 2 favourites colours that go great with my fair skin tone are CR 20 S and PK 50 C – I had been wearing these two interchangeably during the entire summer. CR 20 S – I really like this one! PK 50 C – I really love the cream texture of this one. 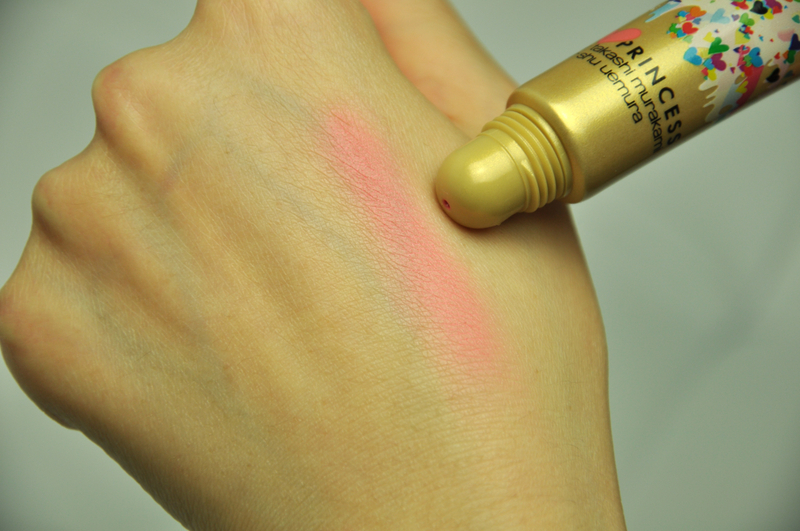 great coverage and such a soft creamy pink. PK 60 C – great glitter to this soft pink. 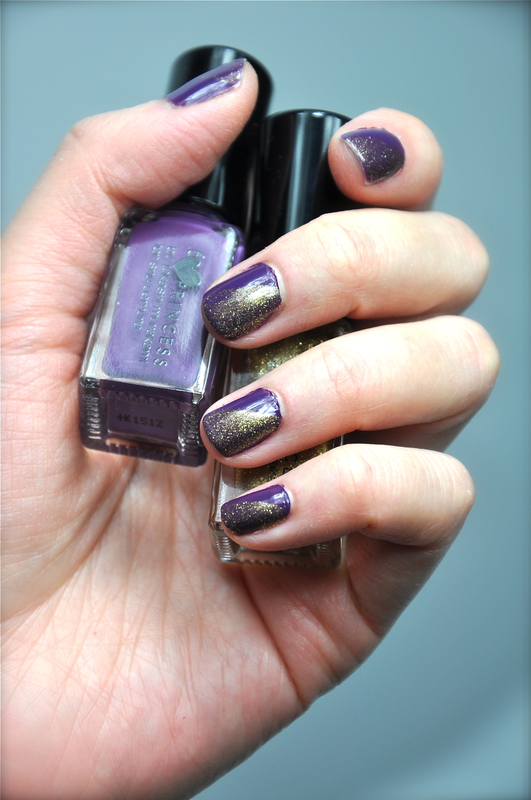 i’m not the big glitter-wearer, but if i were, i’d choose this one! 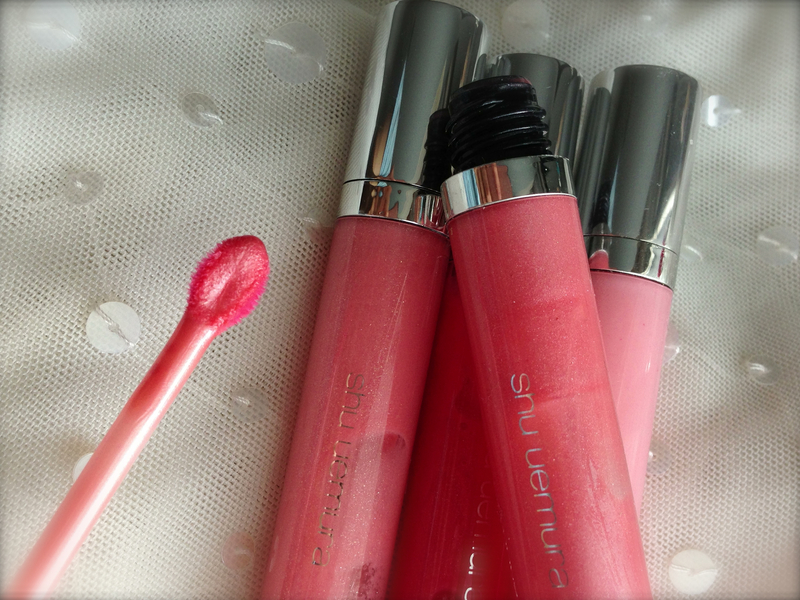 the existing shu umeura glosses have a straight tipped applicator, whereas the new glosses have a looped applicator which i find smoothes the gloss on effortlessly and scoops out more of the gloss from the tube. the slight point on the tip let’s you get the corners of your mouth very easily. overall, i love these new glosses and i think that every girl should have one handy in their purse! 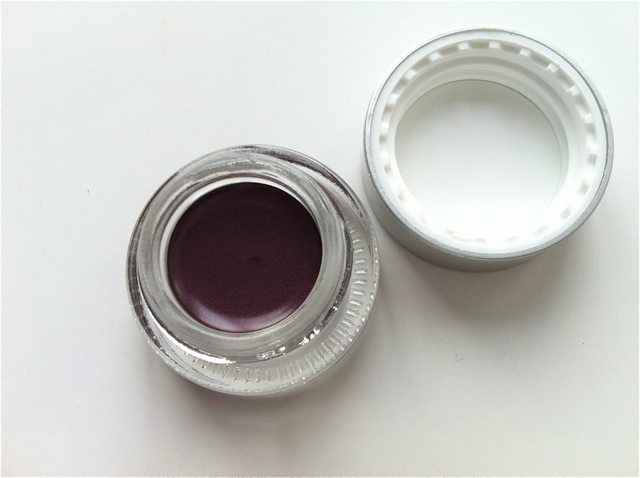 so easy to apply (don’t have to whip out a mirror) and gives the right amount of colour so that you don’t look over done. 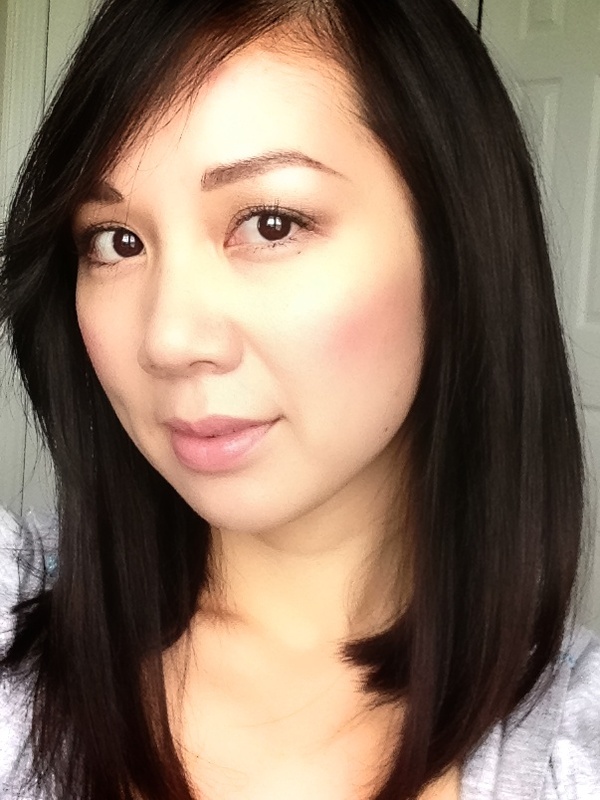 it gives a fresh finish to simple, everyday, natural makeup – which nowadays is so important to me since i’m so busy! not much time to do a full face of makeup anymore! 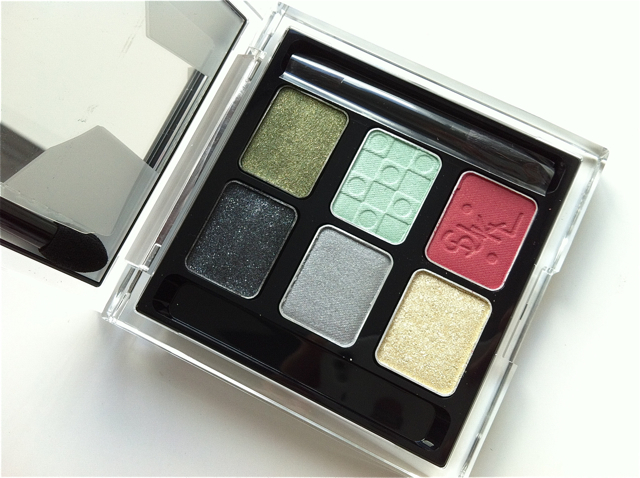 the shu uemura spring 2013 dream blossom collection features five new glow ons. 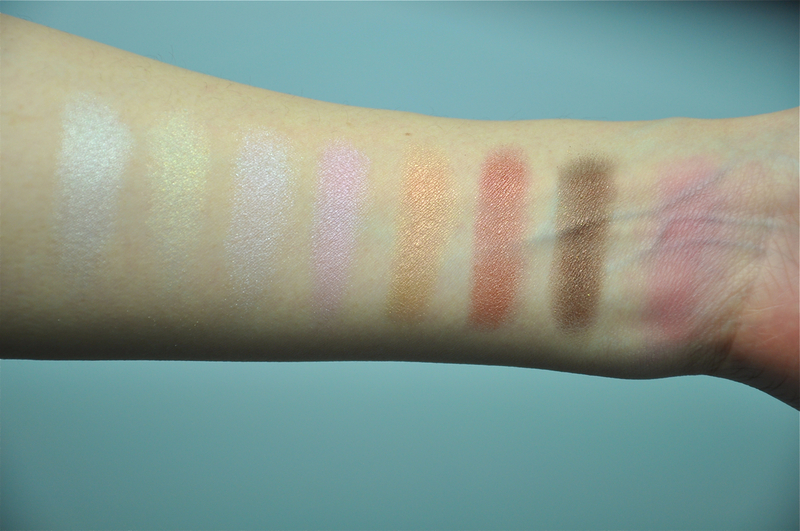 these glow ons are all of pearl texture so they reflect light subtly giving the most natural glow of colour. 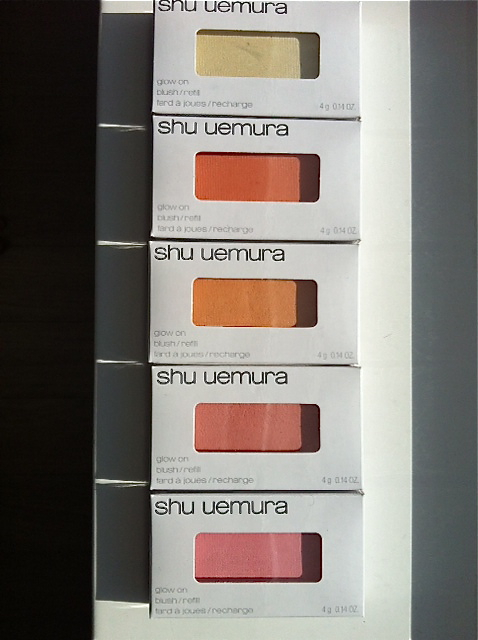 shu uemura glow ons have always been amongst a makeup artist’s favourites. 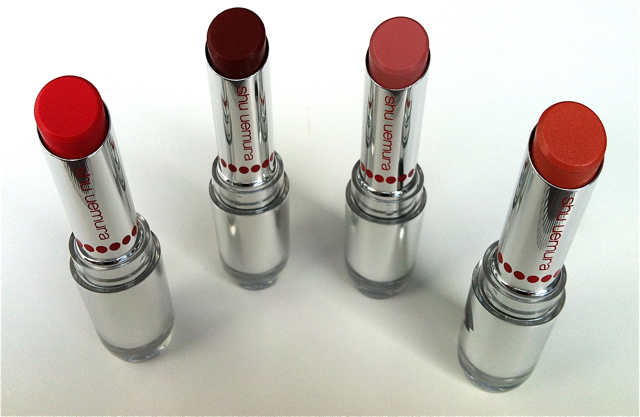 it’s because of it’s smooth texture that creates such a flawless, non-powdery finish. 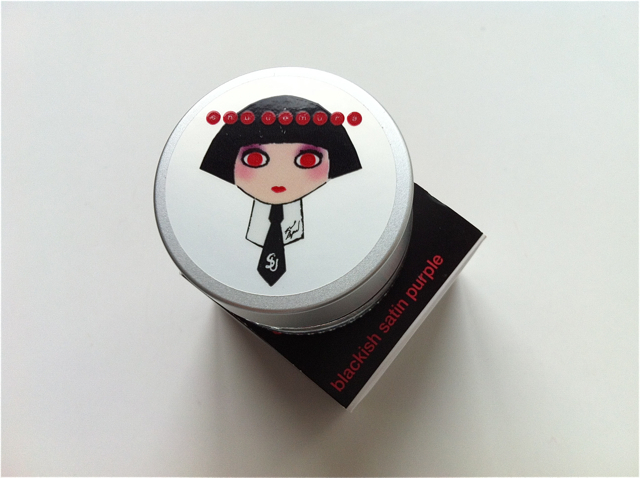 it’s extremely finely milled and is even safe to use around the eye area. 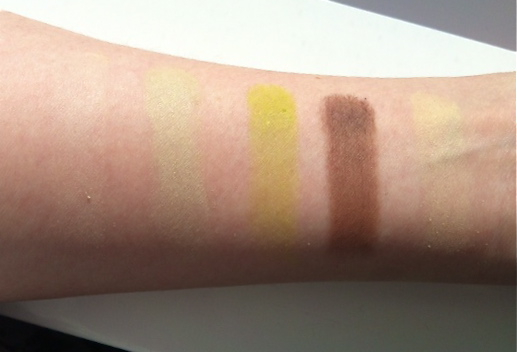 P soft yellow is perfect for highlighting. it gives a beautiful glow to cheekbones and the bridge of the nose. i find the finish and highlighting effect is best when applied with brush 13G. for the smoothest and most beautiful application, be sure to use the flat side of the brush to apply glow on. 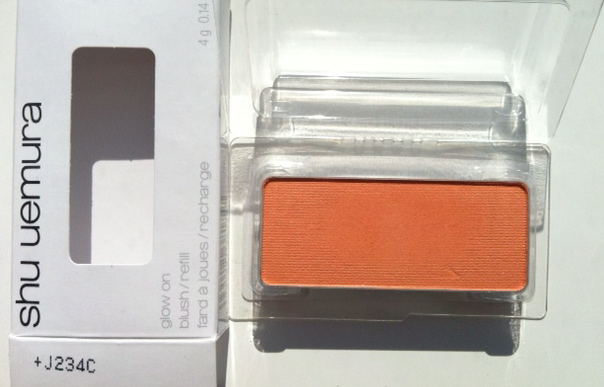 P vivid orange is a high pigment glow on so a little goes a long way! this shade would look lovely on tan skin. i would recommend using this shade after having had a bit of colour from the sun. if your skin is still fair from the long winter months, i would opt for the P soft orange shade. 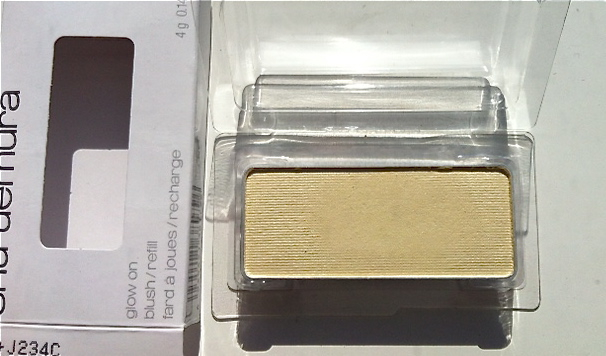 i suggest applying this glow on as a contour (more in the hollows of the cheeks) using brush 20h. use a light sweeping motion beginning from the upper part of ear sweeping towards the nose in a diagonal line. *picture an imaginary line going downward from the outer part of your eye and be sure not to pass this line! P soft orange is such a warm and peachy shade. it looks so great on fair skin, but also gives a healthy sun-kissed glow to tan skin. i would recommend applying this shade to the apples of the cheeks using brush 20. for the most colour payoff, but sure to use the flat side of the brush to apply (and not the tips of the bristles). 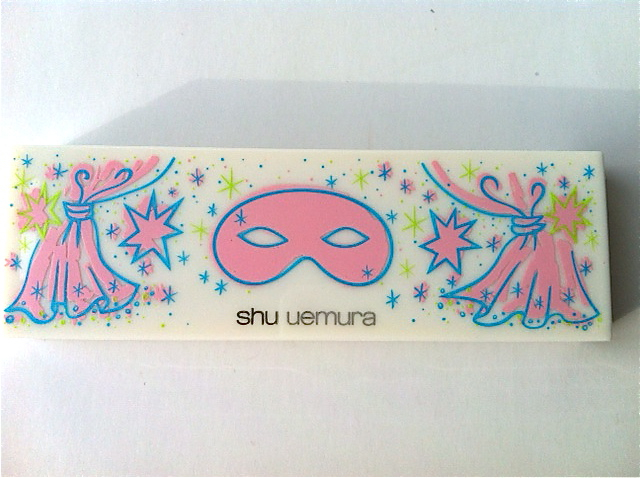 most shu uemura brushes are designed flat, as opposed to dome-shaped. 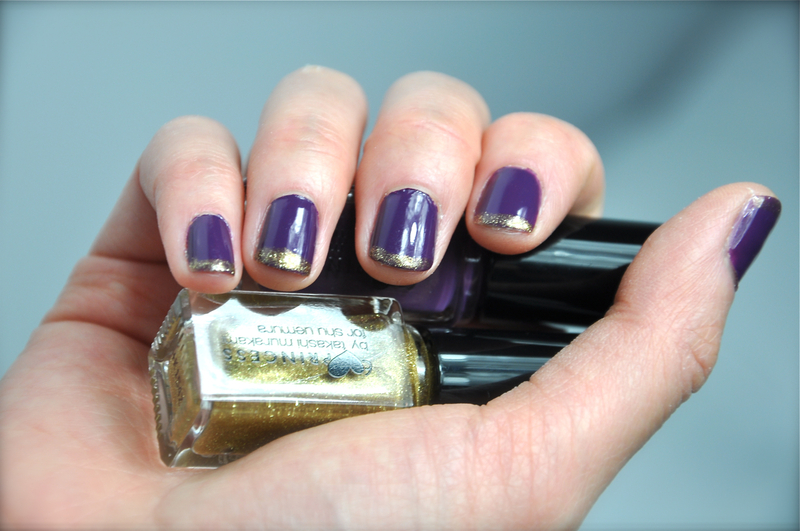 this gives a smoother finish with precision and avoids fall off or having powder fly everywhere! P soft coral is one of my favourites! 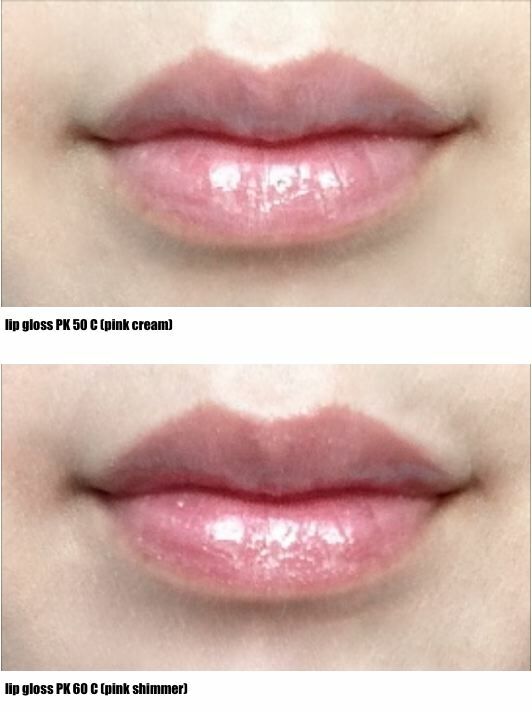 it gives the most natural rosy flush to the apples of the cheeks. my foundation shade is medium light sand 564 and i find that this shade and the P soft pink look best. 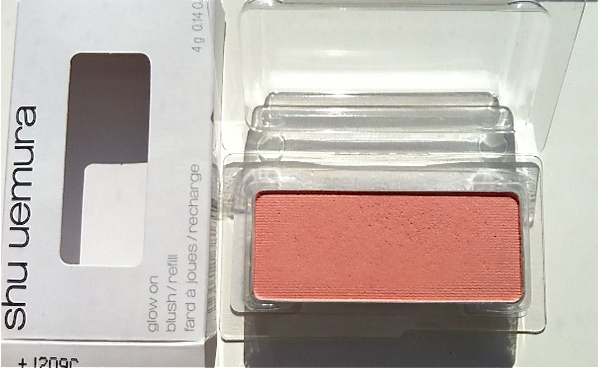 i find that pink blushers brighten up my skin as opposed to the orange shades. P soft pink is such a pretty shade. 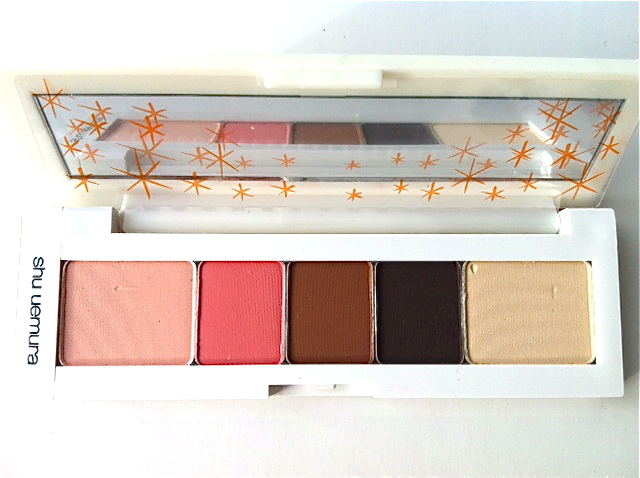 it’s perfect for a sweet makeup look. 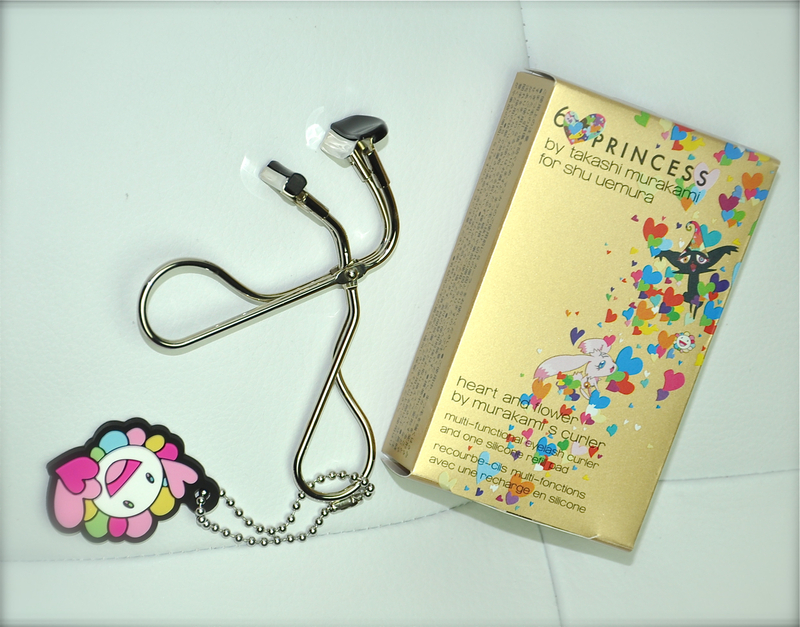 it looks adorable on fair skin and on more tan skin it peaks through like a healthy flush. 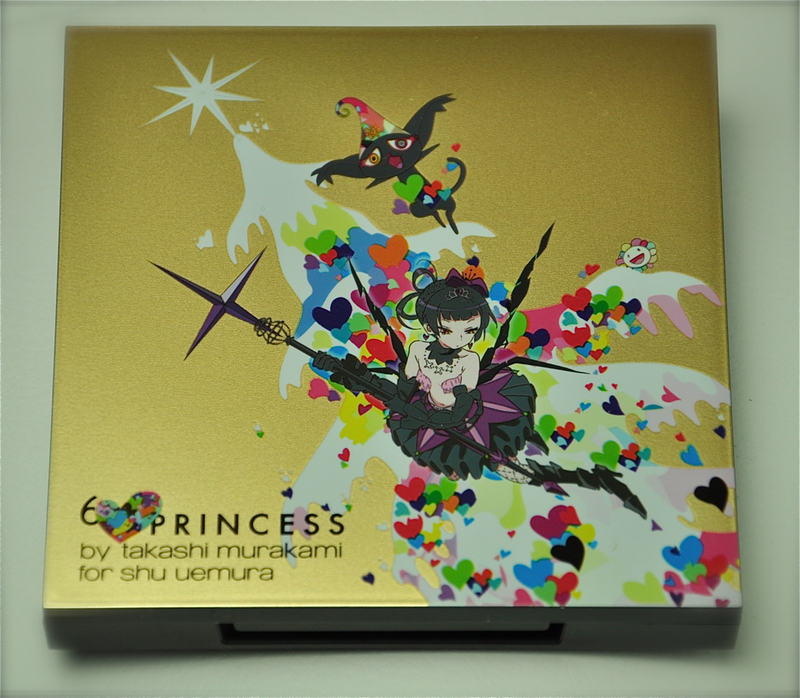 i recommend applying this shade on the apples of the cheeks using brush 20.
the collectable unmask palette case, just like the regular shu uemura cases, can be used for eyeshadow and glow on refills. simply slide out the inside holder and pop in the refills! 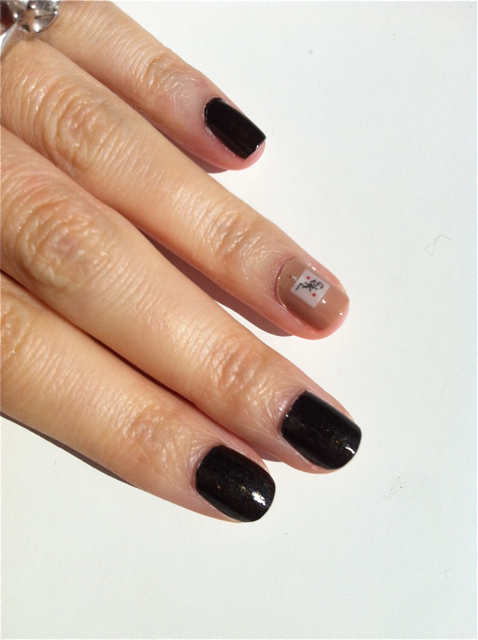 no magnets or adhesive required. 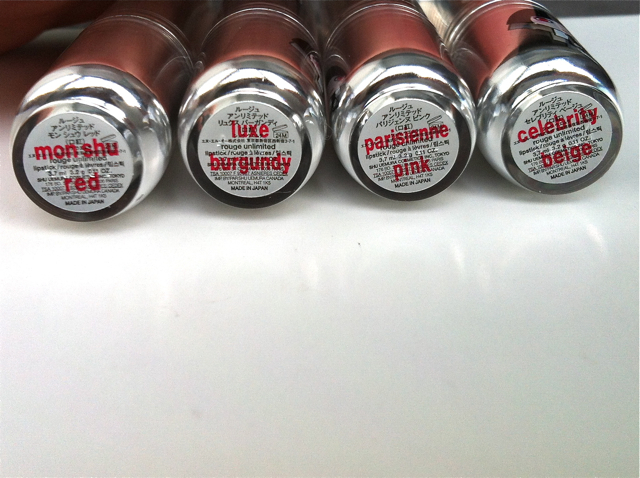 pick your shade and have fun creating your makeup looks! 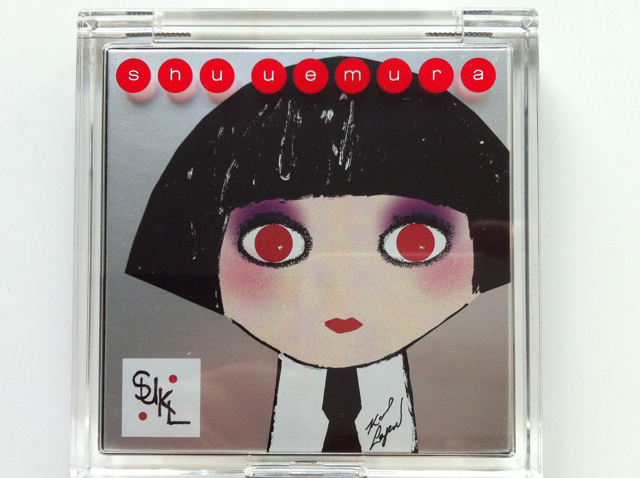 shu uemura has always been known for our intricate and artistic false lashes. 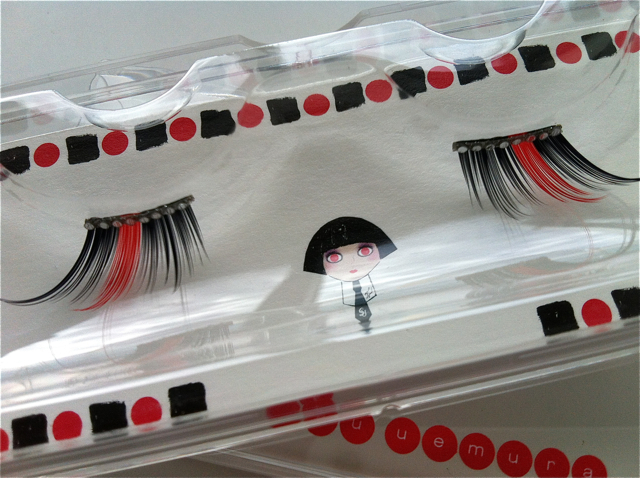 whether it may be natural lashes, lashes for a slight accent or the dramatic collectable lashes, shu uemura has always been the go-to to decorate our eyes. i’m always so excited when a new season arrives because i’m curious to see what our international artistic director kakuyasu uchiide, has designed. for this spring 2013, it’s all about colour. splashes of pastels and vibrant primary colours have been seen all over the runways. 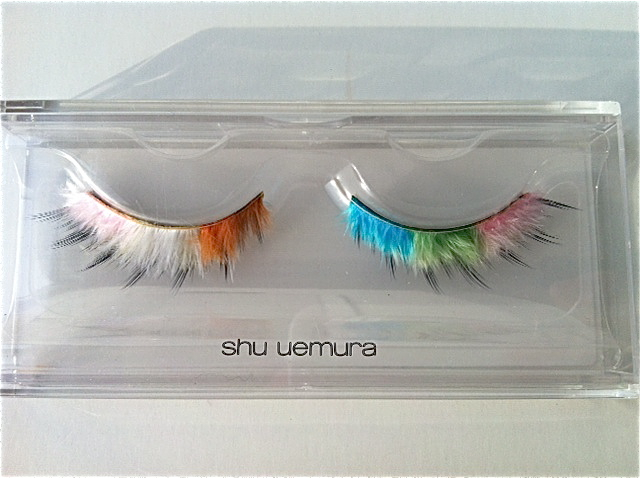 on point with the trends, shu uemura’s spring dream blossom collection has two beautifully designed colourful, feathery collectable lashes: rainbow feather S and rainbow feather L.
the rainbow feather L lashes are so fun for those artistic makeup lovers out there. 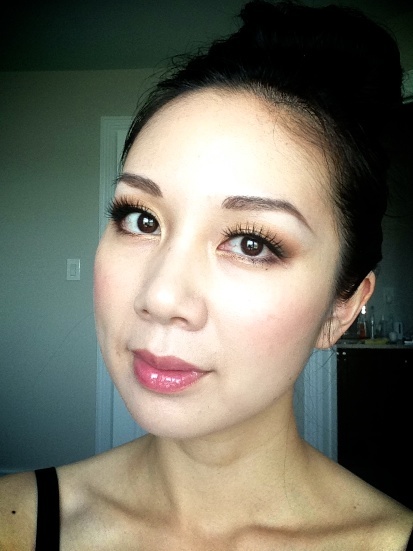 of course they are not day-to-day lashes, but they are definitely lashes that makeup artists love to have fun with! the long colourful feathers are perfect for an artistic photoshoot. the eyeshadows from the same collection are perfect for creating a backdrop for these lashes (click here to read about the eyeshadows). the shadows should be applied all the way about the brows and onto the temples; makeup artists can really play around with blending and colour placement to accentuate the lashes. 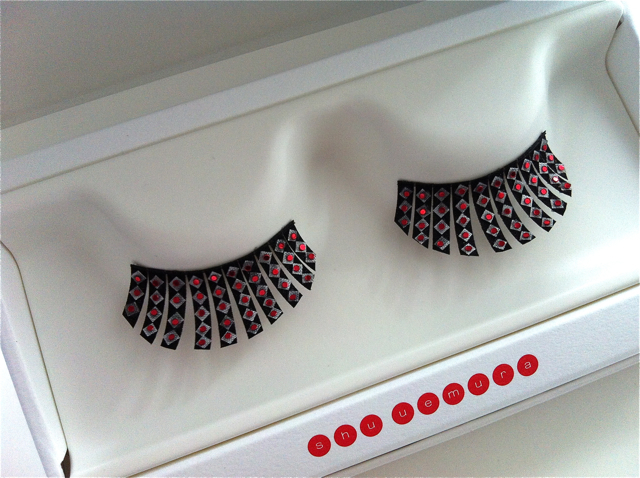 these playful lashes were also featured in the march issue of loulou magazine in the beauty trends section. 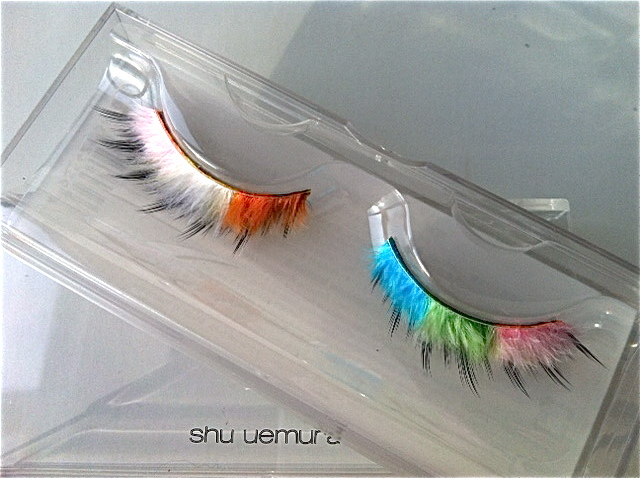 the rainbow feather s lashes are a little more subtle compared to the rainbow feather L, although still pretty dramatic! but these lashes can be worn on a bold fashionista as the bottom layers of the lashes are black, so when eyes are open, an accent of soft colourful feathers can be seen above the long black lashes. (click here to see how they look on). 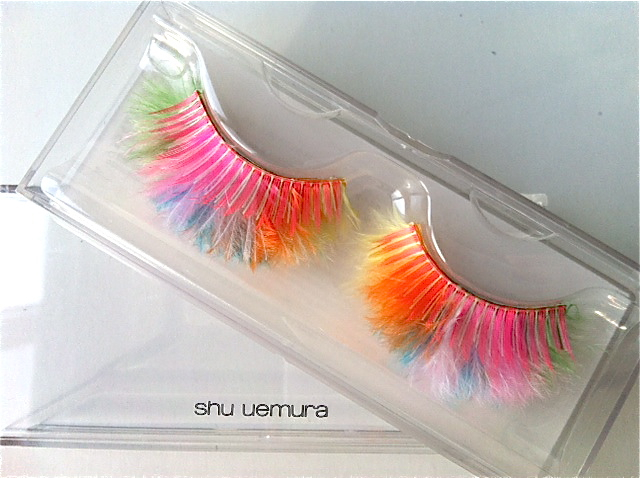 they are basically like the slant black shu uemura lashes, but decorated with fluffy colourful feathers. 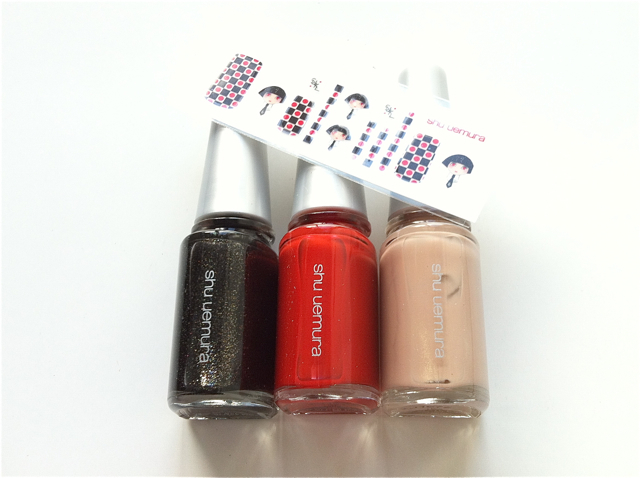 if you’re a shu uemura fan, i’m sure you’ll want to get your hands on a pair of these before they are no longer in stores! shu uemura can now be found in sephora in eaton’s centre in toronto and can now be purchased online on the new shu uemura canada website. have fun experimenting with some colour! 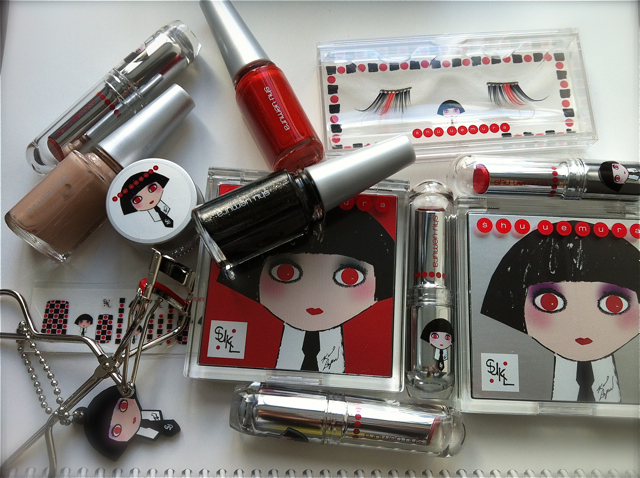 shu uemura has come out with yet another beautiful collection for this spring season! 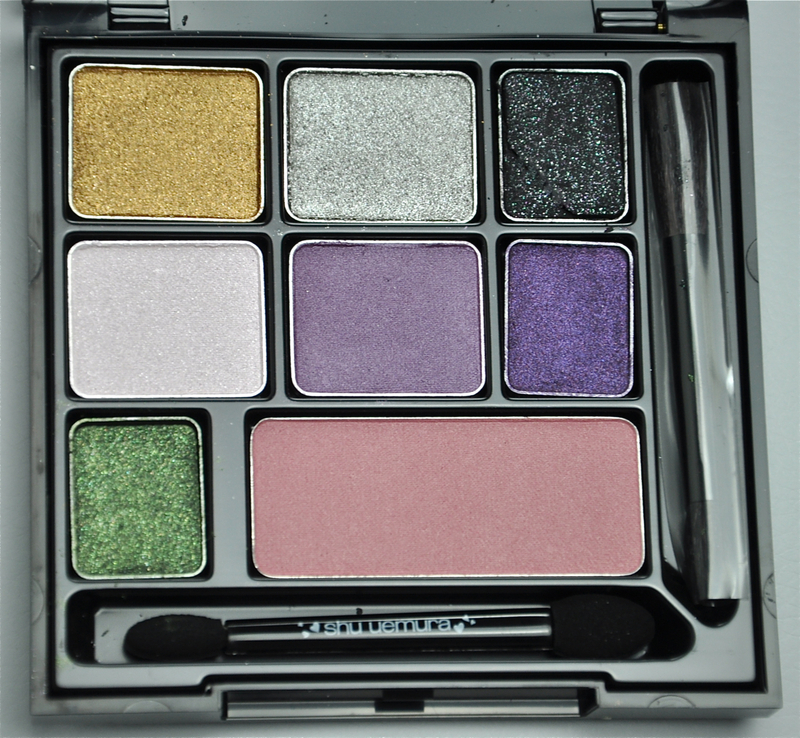 the blossom dream collection has all of the beauty essentials to create looks that follow spring 2013’s makeup trends. 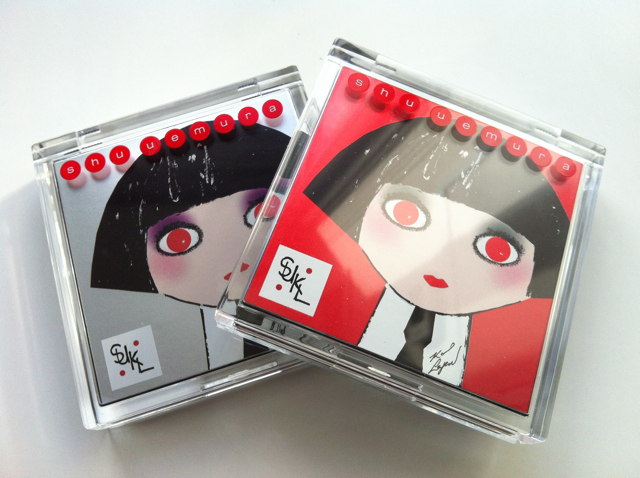 the collectable eyeshadow palette cases are refillable. 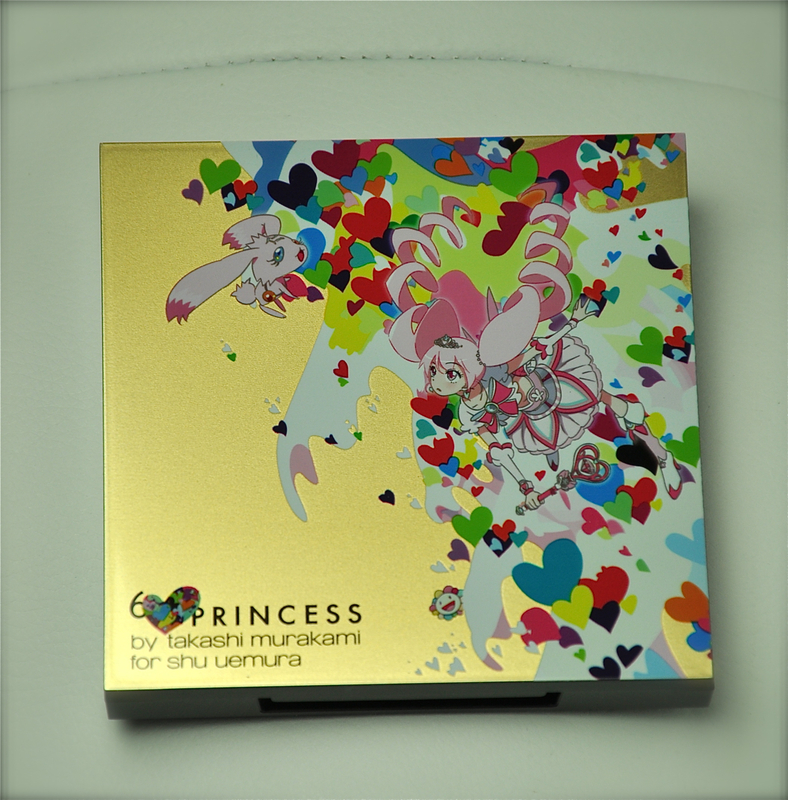 the mask on the palette is a tribute to mr. shu uemura’s introduction of the first oil-based cleanser in japan in 1967 called unmask. 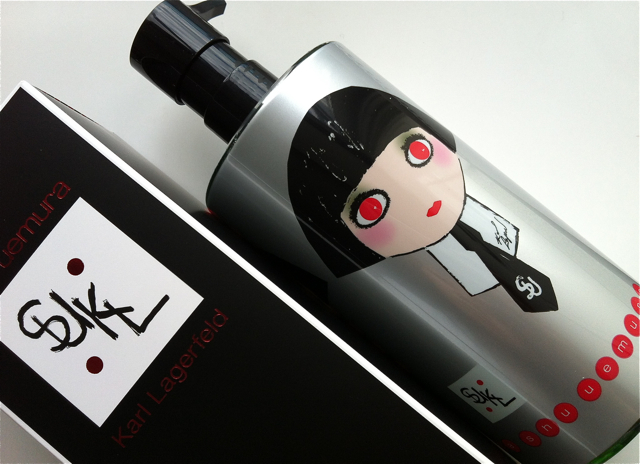 the inspiration came to him while working with hollywood celebrities back in the 60s. mr. shu uemura was curious as to how these celebrities kept their skin in such good condition even after all of the heavy and cakey makeup that was being used at the time. he discovered that they were using oils to cleanse their skin; he then created his own oil-based cleanser with botanicals and gentle oils. the rest is history. the collection features three vibrant pastel eyeshadow palettes; all of the colours are perfect for creating trendy and fresh spring looks. beginning with the eyes, all along the runways, we’ve been seeing pastel ombré eyes, color layering on eyes, intense pigment liner with matching eyeshadow and soft smoky eyes. 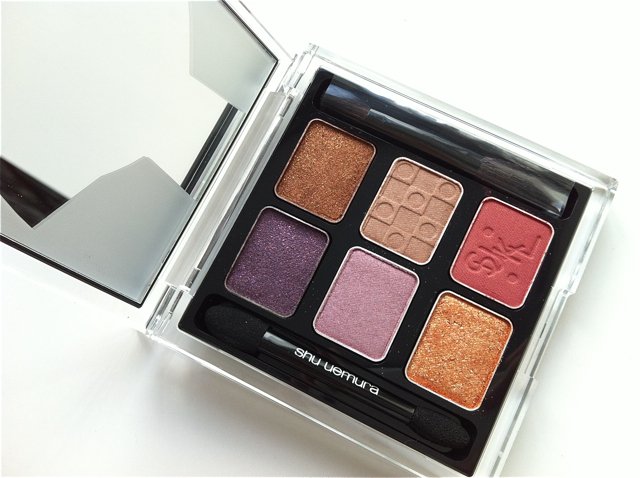 all of which can be easily created with the new shu uemura dream blossom palettes. 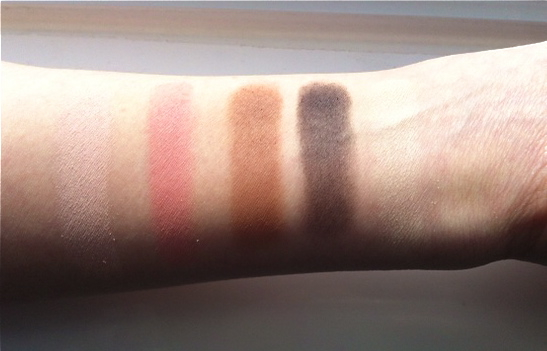 all of the eyeshadows in the three palettes are matte texture. 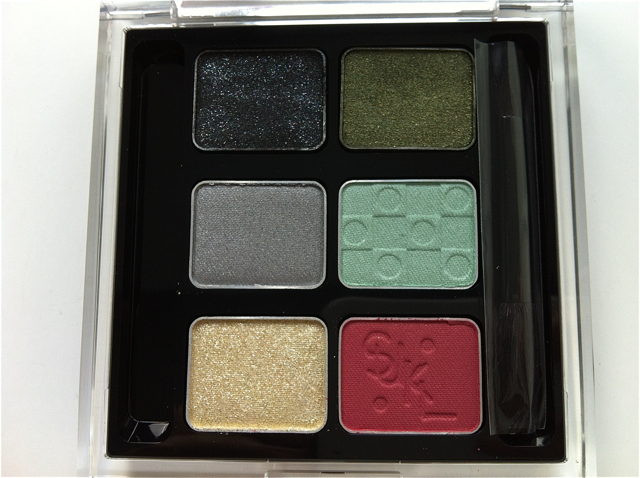 the green palette has the perfect shades for fun colourfully lined eyes. 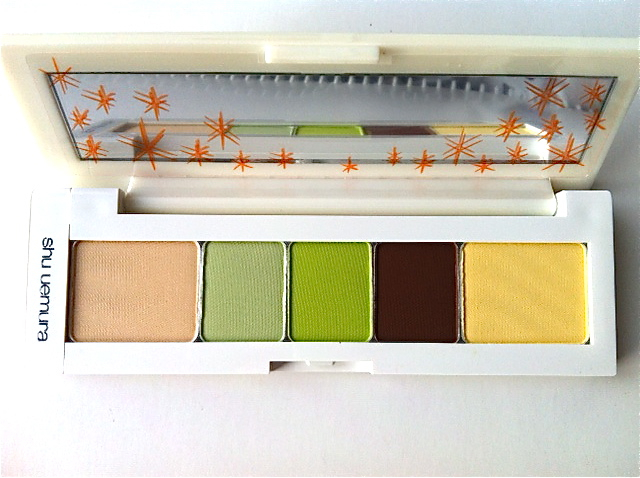 the lime green shadow has great pigment that can be easily packed on using shu uemura’s brush 10F to create fresh green liner on the bottom lashline. (i’ll soon be creating some looks on myself to demo!). 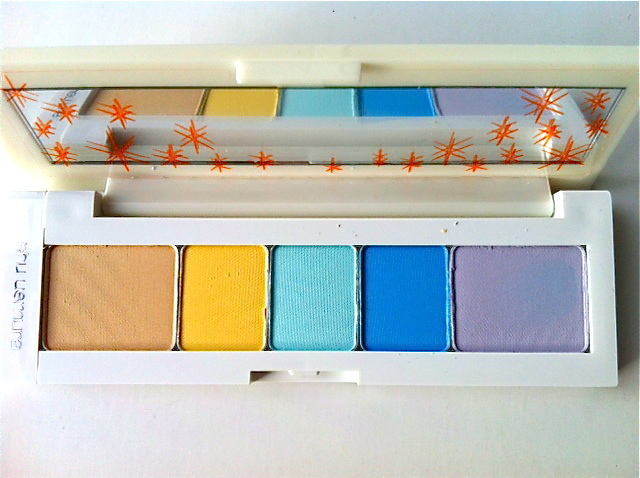 as for the lid, simply sweep on the pastel green shade or apply the pastel yellow shade for a fun pastel ombré look. 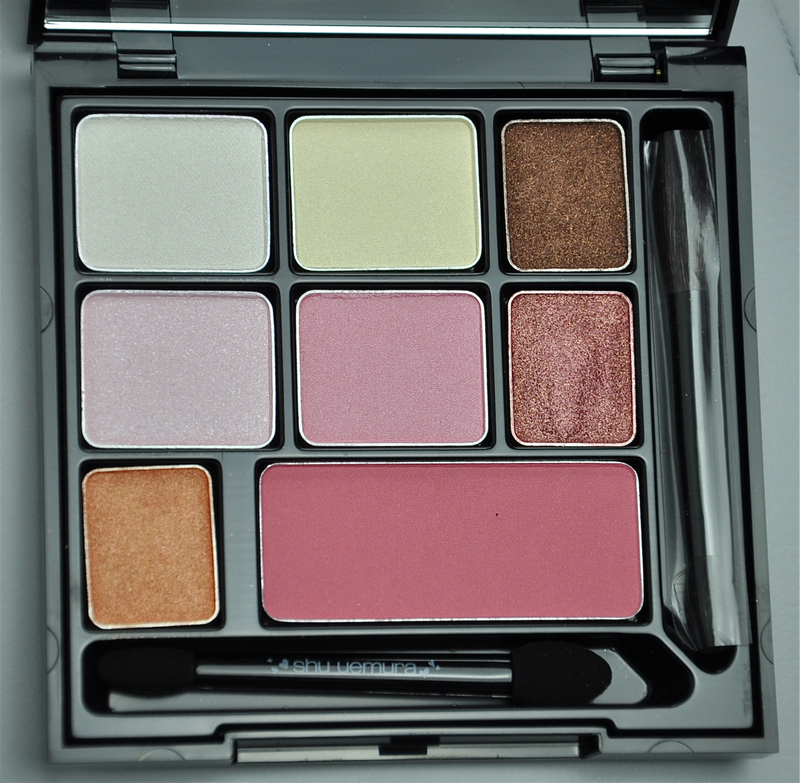 the pink palette is perfect for creating beautiful monochromatic looks. 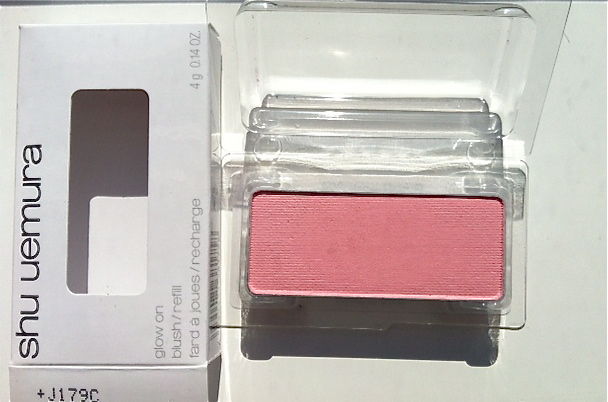 use the deeper pink to line the lower lid and in the eye crease and use the pastel pink all over lids. 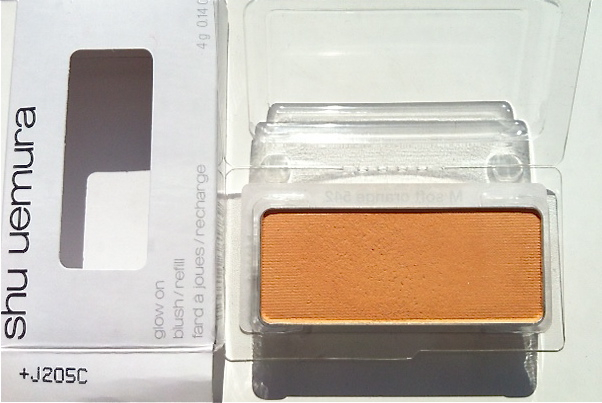 the two brown shades are great for adding depth in the crease area and to avoid having eyes look irritated – an easy mistake when using pink shades around the eyes. (again, i’ll create a look on myself to demo). 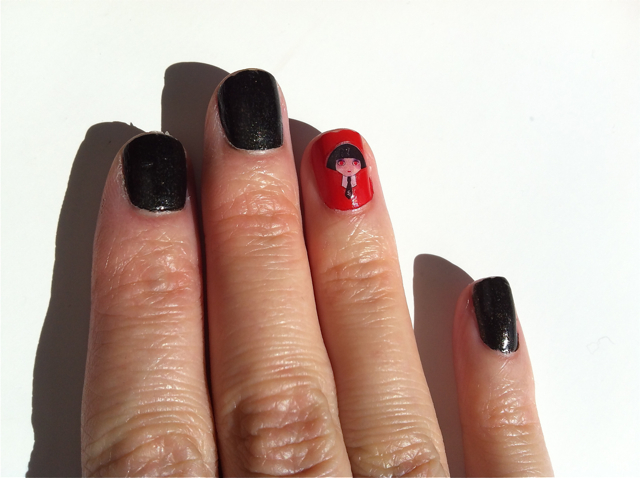 click here to see a look that i created for shu uemura’s website. the blue palette is my absolute favourite! 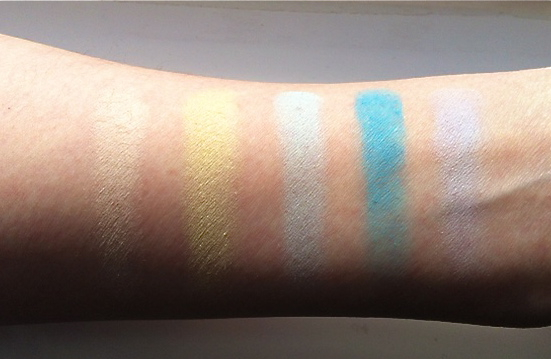 the pigments show up so well and effortlessly. i’ve been seeing cool blue eyes everywhere lately! on the runways, on the red carpet and in magazines. for a super easy spring look, try sweeping the pastel blue all over lids and follow with black mascara. or for a more fun look, use the deeper blue as liner for the bottom lash line – brush 10F is the best tool for this; it picks up the pigment and deposits it without any fall out so it creates a perfect line. 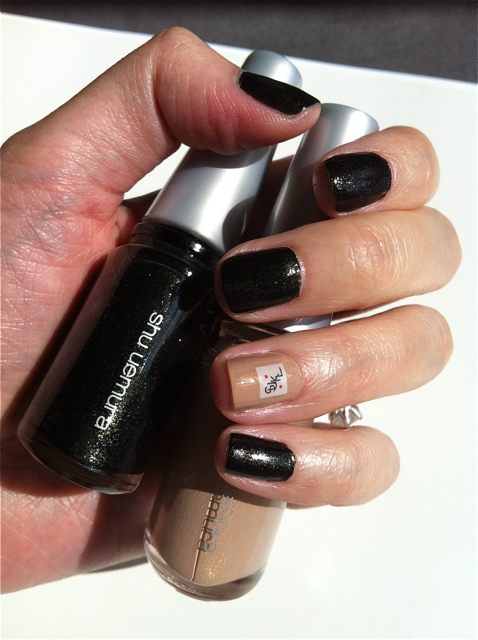 click here to see a look that i created for shu uemura’s website. 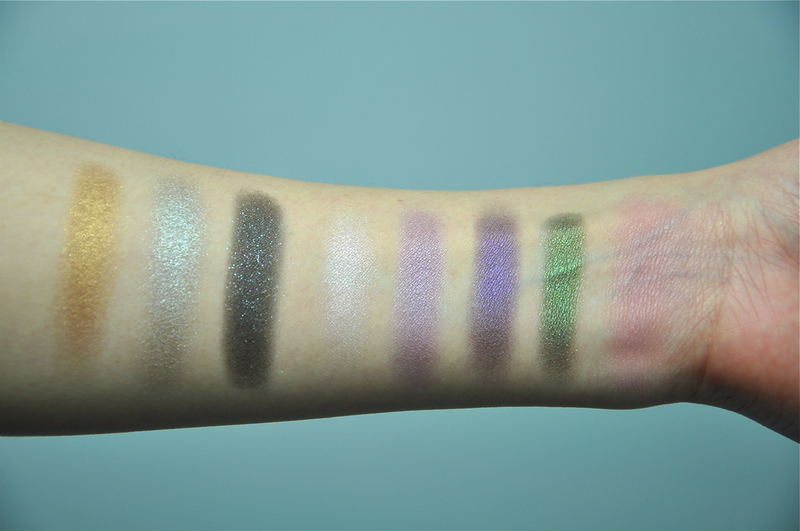 overall, i love the matte and smooth texture of these eyeshadows. 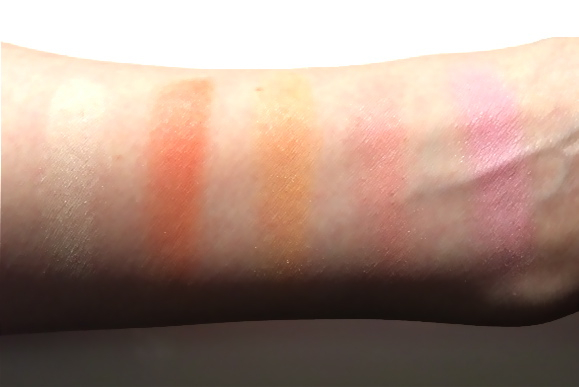 the colours are so soft so they can easily be used to create fresh spring looks. 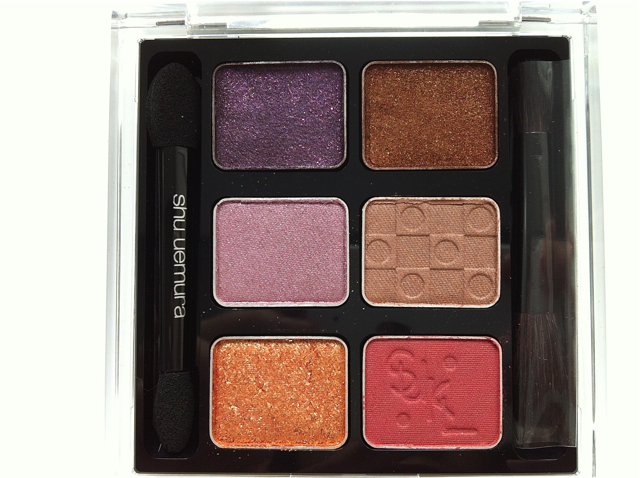 the deeper colours in the palettes are very pigmented which is great because they can also double as colourful liners – super trendy this spring season! 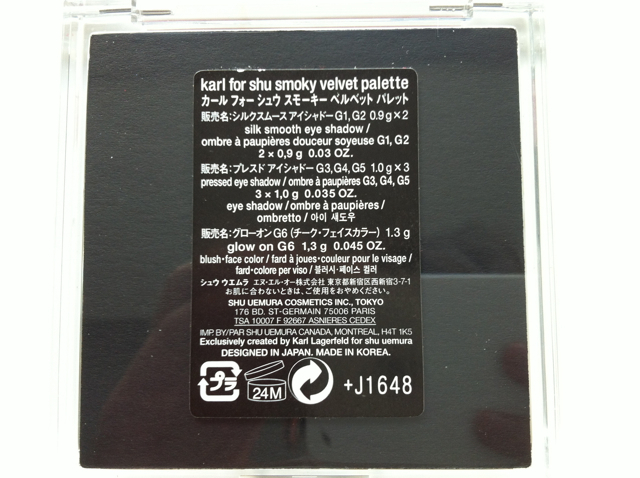 the palette cases are also reusable, so after you are finished with the eyeshadows, you can refill the palettes with the regular sized shu uemura eyeshadows. 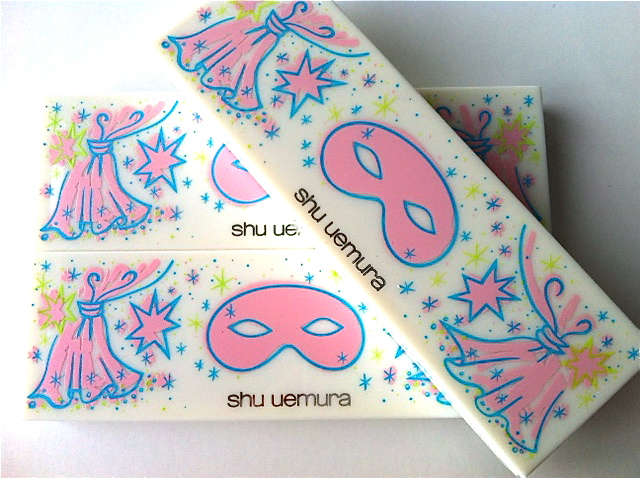 the design on these palettes truly reflect shu uemura’s legacy and are such great collector’s items. 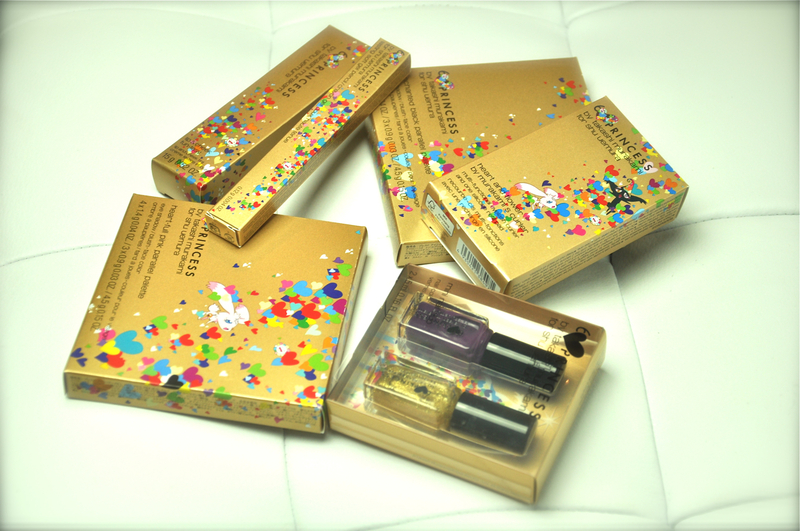 to shop online in the US visit www.shuuemura-usa.com. 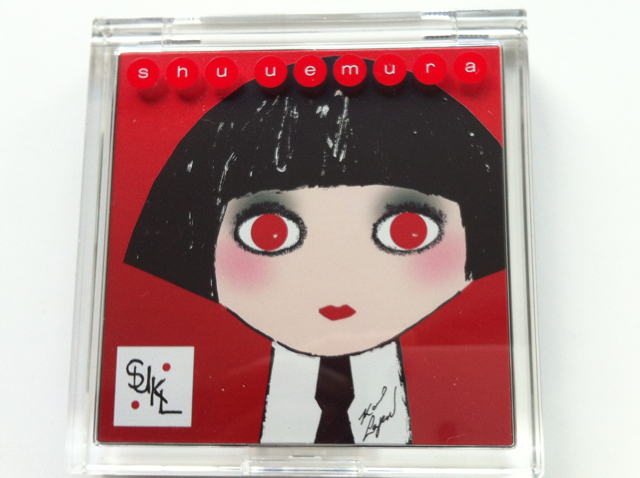 to shop online in canada, visit the brand new canadian site www.shuuemura.ca.